Sometimes your tank is mechanically fit for service but you’re still having interruptions in your generating or heating service, keep changing filters or fuel dispensing systems are slower than usual, you may have a dirty tank or fuel! 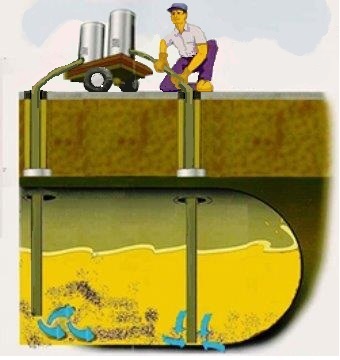 It happens all the time, your critical system ingests sludge, water or debris and now you have big problems. Preventative tank maintenance is critical for critical systems. So get the crud out before it gets to your vehicles or equipment. 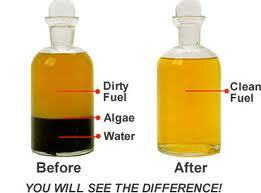 Have your tank cleaned and have your fuel tanks filtered regularly. Contact us today at 301.931.9090. Fuel storage tanks that have offered you many years of service have given you a great return on your investment. Fuel storage tanks just like everything else it can get dirty. What a lot of people don’t realize is that it’s what you don’t see that’s what is going to cause you problems. Temperature variations, leaking fittings and dirty fuel deliveries can put more than just fuel in your tank- it adds water. Not to mention fuel is often passed between more than one container and more than one supplier increasing its chances of fuel contamination. Water reacts with the fuel and creates sludge in diesel tanks and is soluble in ethanol blends. Clogged filters, pilot light flame outs and service interruptions are sure to follow. 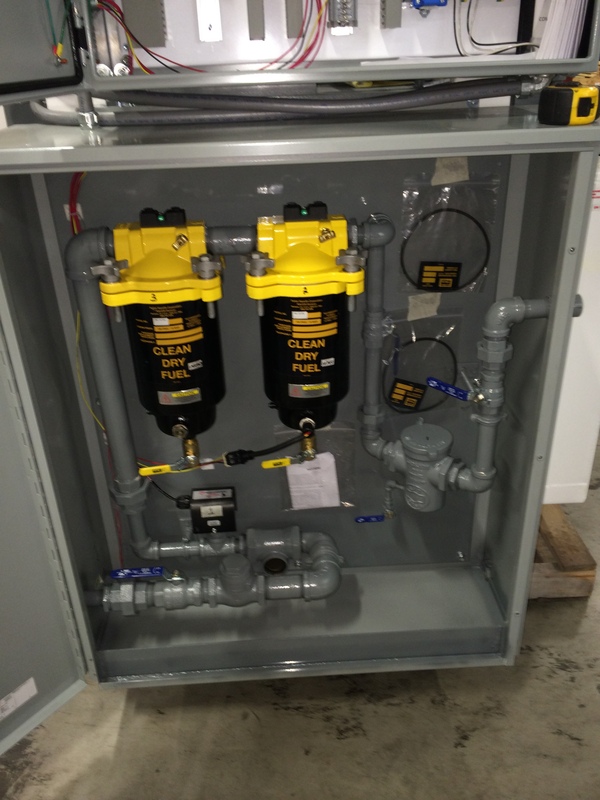 Capitol Petroleum Equipment, Inc. offers above ground storage and underground storage tank cleaning along with our exceptional fuel tank filtering services for commercial or residential customers. Get that stubborn sludge out of your tank. Whether you need confined space trained personnel or remote fuel filtering. We will pump out and filter the remaining product, gain entry into your tank and squeegee that tank squeaky clean. Or, if there is no man-way entry point, no problem, we can insert a flow jet through a suitable opening and preform the task without ever getting in the tank. It’s like a pool skimmer! Want your old fuel back? We will filter it for you on site and return it to your tank. We’ll properly dispose of the sludge and water so we keep the environment clean too! Give us a call and you can get back to business. If installing fuel filtering equipment is not in your budget, we offer on call fuel filtering. We will provide experienced technicians and proven technologies to cycle your fuel through filters measured in size by the micron (that’s a millionth of a meter!). Our proven technology will return your fuel to a pristine condition and ready for use. If you’re looking for a more permanent solution, we can offer you a variety of in-line and standalone fuel filter systems. In line systems filter and strain your fuel as it travels through your system. These are usually installed prior to a generator tank or boiler intake. These are a great solution for your existing system, pic a suitable location and plumb into the inlet and outlet! Standalone preprogrammed systems are another way to go. These systems go from almost as simple as the inline or as complex as system into itself. These systems can handle multiple tanks. Programmed start and stop run times and integrated controls to manage the movement of fuel to and from any tank in your system. Many times these units are installed at the same time as your tank system itself. Often with dedicated supply and return lines, automated valve systems and integration with other system components. Don’t let fuel maintenance be an issue for you, we provide technical and mechanical experience as well as systems from the leading manufacturers in the industry. For new fuel filtering, filtering equipment sales, installation or repair, Capitol Petroleum Equipment will deliver. Call us for the service you deserve! 301-931-9090. Capitol petroleum Equipment Inc. is pleased to announce the debut of our newly created website! We are pleased to provide you with a user friendly and informative website to allow you to acquire the parts and services you deserve! We will also keep you up to date on our latest projects and industry news. CPE recently successfully completed two time sensitive site aboveground fuel storage tank installations projects for state government projects.